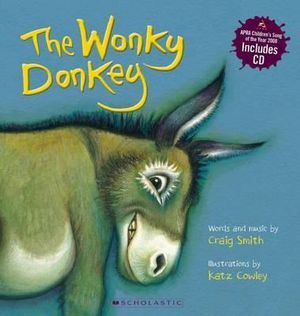 I think 'The wonky donkey' is so funny. I LOVE this book it is amazing because I love the song in it. this is a good book that all people can read. I still read it and i am not even a young kid. this is a funny book for younger kids it always puts a smile on their face. Really funny i laughed the hole storey. Such a great book! really fun to read and the song is hilarious!